Each body in our solar system takes an elliptical journey around the sun. This path is offset, meaning the sun is not in the centre. This offset means that each year as a body like the earth orbits its star, it has one point furthest away from the sun (aphelion) and one point closest, known as perihelion. Perihelion for the earth is generally around the 3rd January. In the northern hemisphere this coincides with our winter, which as you’ve probably guessed, has proven to be my favourite time to capture the architecture of the Symmetree Oak. ‘Symmetree – Approaching Perihelion’ has been created from a single photograph taken with a low sun emerging through the mist. The photograph was composed by placing the sun to one side of the frame. 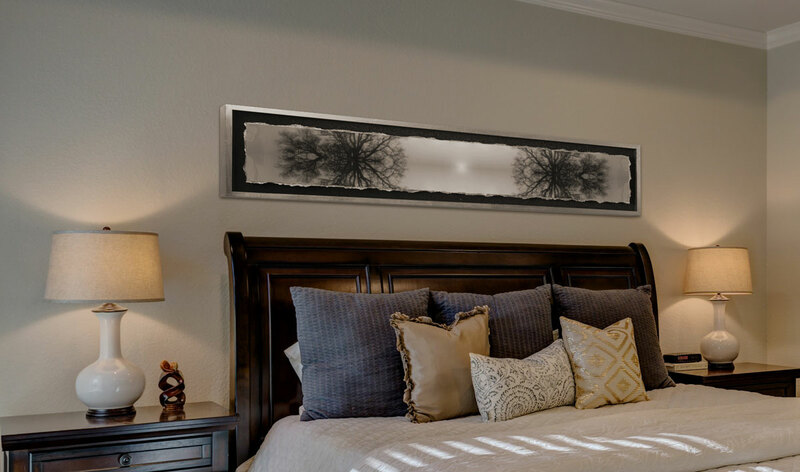 By duplicating and flipping the image in two directions and putting the sun in the centre of the finished piece, it creates a dynamic relationship between the tree and the sun. The importance of this relationship cannot be understated. It has been one of the major contributors for both allowing life on Earth to flourish and a cornerstone of our own technology. Knowing that there have been annual rhythmic cycles for millions of years could perhaps make us feel complacent about the ability of the earth to carry on its journey forever. Perihelion may only happen once a year, and will pass without you neccessarily experiencing it. So make the most of any day with sunshine by stepping outside and finding the shade of a tree. Then take a look up through the branches and consider in awe, one of the spectacular natural cycles that have created our beautiful but fragile home. ‘Symmetree – Approaching Perihelion’ is part of the Symmetree collection with each piece created around a single oak tree. 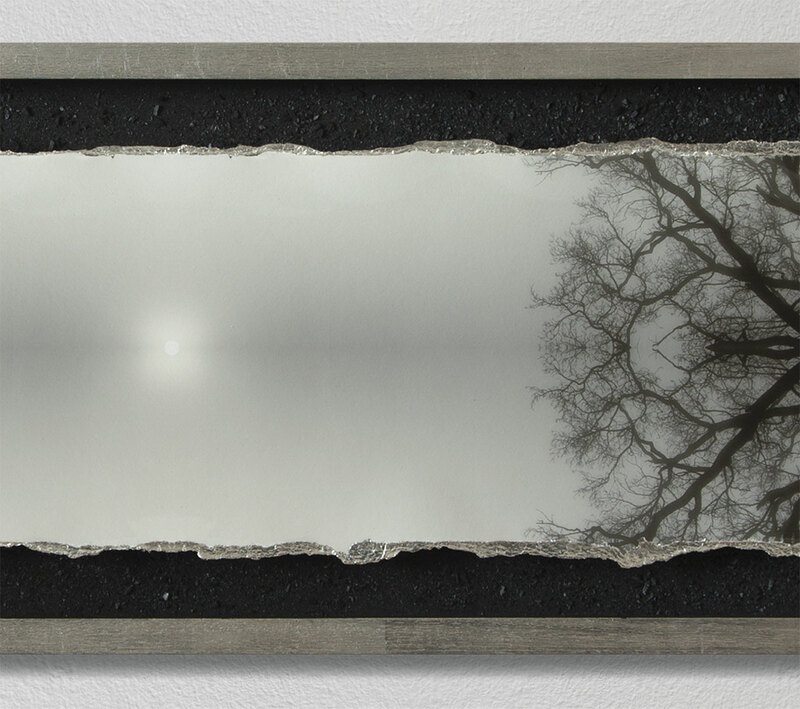 Symmetree – Approaching Perihelion is set in resin and framed with charcoal created from the Symmetree Oak. Available through Beumee Contemporary Fine Art in Tunbridge Wells.